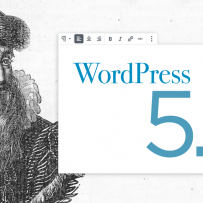 Gutenberg - WordPress 5.0 - Collective IT Solutions, Inc.
You can use a classic editor for a few years if you do not want to use the new editing features. The new editor will have a learning curve for end users, but it should offer some improvements as well as some frustrations. If you have older or abandoned plugins, there is a chance they will NOT work with the new WordPress 5.0 and that could have serious effects on your website. This should hopefully be solved by locating the out of date plugins and finding new ones to use instead. If you have an older WordPress template or a customized template that was not kept up to date, your site may no longer work correctly. It is impossible to tell how until you update to WordPress 5.0. The solution for this is to use a new template (which will be difficult if you had one customized). Good luck WordPress Users! Feel free to contact Collective IT Solutions if you need help! © 2018 Website development by: Wendi Westrate, Collective IT Solutions, Inc.